Shu uemura is becoming more sophisticated. Riding on its long-standing motto, “skin is the best canvas”, the Japanese cosmetics brand has been incorporating inspirational life stories and profound insights about beauty into its product commercials via the making of art. For its eyeliner products, most memorably we have the award-winning digital campaign featuring Charlene Choi (阿Sa) and her unconventional career path last February; followed by the “Beauty is in the Eyes” episode starring model Chrissie Chau (周秀娜). This time it’s about skin foundation, and the glow it reflects. 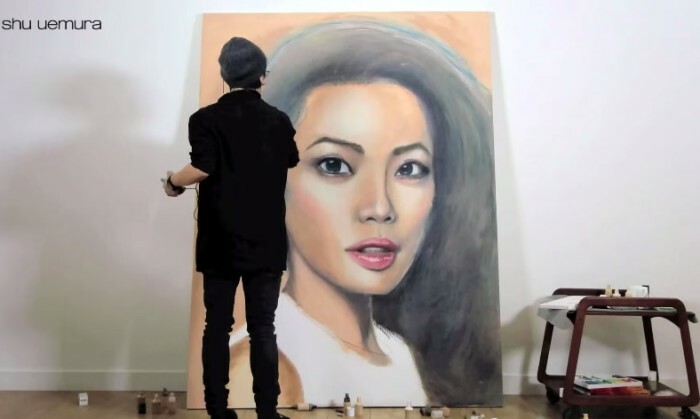 Called “Find Your True Glow”, the campaign invite artist Geeio Yuen to paint a portrait of renowned local singer Joey Yung on a plain canvas using the brand’s latest foundation product. Co-created by stylist Mayao Ma, film director Moory Ma and Yuen, the making of the drawing has been filmed into a viral video that aims to give its new foundation a layer of depth via Yung’s love journey at her junior age. “Promoting foundations doesn’t necessarily mean you have to focus on faces. We use the metaphor of a plain canvas as a human face to portrait our belief that ‘skin is the best canvas’,” Veronica Suen, digital and CRM manager at shu uemura – L’Oréal Hong Kong, told Marketing. The creative component was managed by Famegloryproductions and Curious Few, while media buying was handled by Mindshare. The campaign will run until mid April. "This is an inherent risk in managing social media communities - especially when there are multiple account holders." ..
Google will finally begin to drive its Street View (SV) cars through Malaysia’s streets for the first time with the support ..